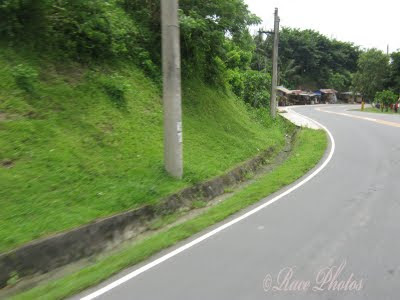 This is the curved roads of Laguna. We're on our way here from our house to our hometown in Laguna to visit our cousins and relatives there. 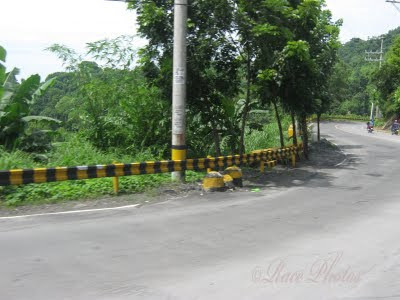 This road is near the top of the mountain where Rizal and Laguna province separates or what we call the boundary. This place has an expanse of long curving roads because the mountain sides was constructed merely to be able to cross the mountain in reaching Laguna from Manila. Way back when we were kids there were no road signs and no metal fences around so travel is very dangerous, a bus actually almost dropped down the cliff. Visit my other entry at Moments of My Life. See more Thursday Challenge 'Curved' entries here!